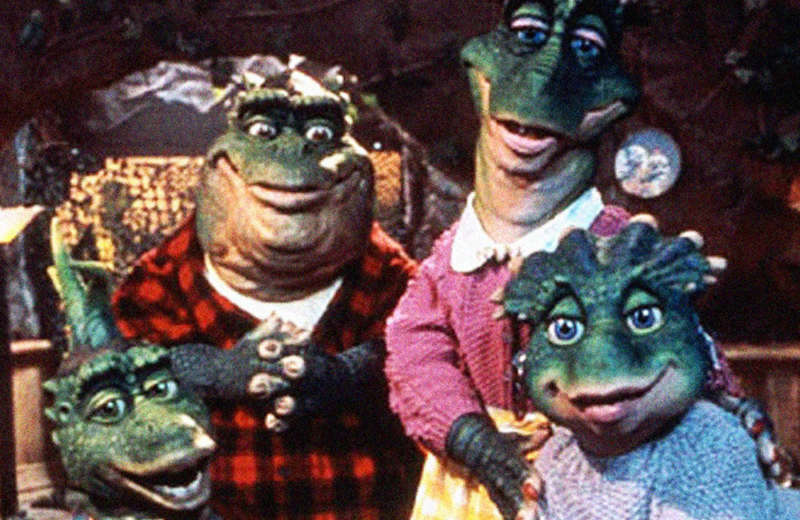 For those of you who don’t remember, the Dinosaurs TV show was produced by the Jim Henson Company and centered around a family of animatronic dinosaurs. Like The Simpsons, the show was goofy enough that kids liked it even though most of the jokes were actually intended for adults. 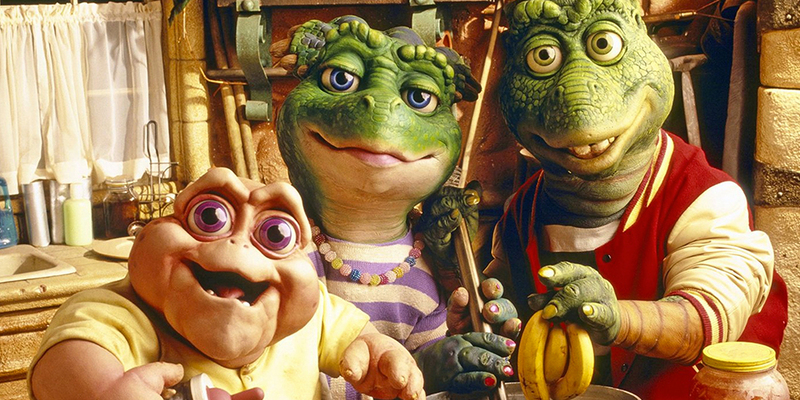 For most of its run Dinosaurs appeared on TGIF, ABC’s Friday night lineup that also included shows like Full House and Family Matters. Earl Sinclair, the dad, was a schlubby crankypants who worked as a tree pusher for a big corporation called Wesayso. He was a little bit Fred Flintstone, a little bit Homer Simpson, a little bit Archie Bunker. Earl’s wife Fran was tall and patient, as wives on family sitcoms usually are. There were two teenaged kids named Robbie and Charlene, the latter of whom was voiced by squeaky Sally Struthers. The voice of Sally Struthers is hard to forget, especially if you were alive in the early ’90s and remember the days of the International Correspondence School. 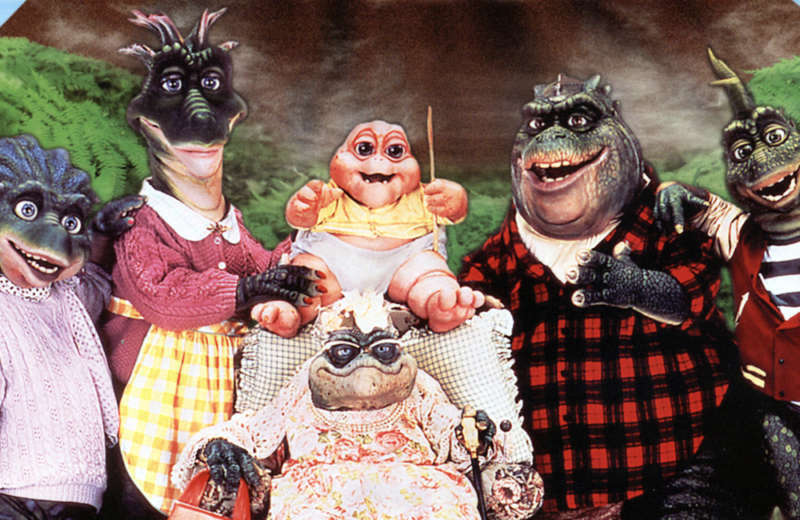 When the Dinosaurs TV show was canceled, the show’s writers decided to go out with a bang. Perennially low ratings meant it bounced around from Friday to Sunday and then over to Wednesday, where it perished as summer filler. Dinosaurs‘ final episode, “Changing Nature,” begins with the characters awaiting the annual arrival of the Bunch Beetle, an insect that lives on an invasive creeping poppy. But the swarms don’t show up. One beetle does, but he’s lost. Charlene leads him to the swamp where the bunch beetles mate, only to find that the Wesayso Corporation has paved over it and put up a wax fruit factory. With no beetles to cut back the poppies, the plants get out of control and Wesayso is blamed. Their solution? Spray the land with a defoliant that will kill the poppies. Unfortunately that plan backfires, and all plant life on the planet is also killed. Wesayso couldn’t be happier, since it specializes in processed foods with no real nutritional content, but it decides the plants will grow again if they can just make it rain. And how do you make it rain? Drop bombs in volcanos, of course. But volcanic clouds aren’t the same as rain clouds, and the volcanic ash blocks out the sun. The earth gets rapidly colder, and the episode ends with the entire Sinclair family sitting in front of the TV together, freezing to death. The show was made by Jim Henson Productions and produced by Disney, so the heavy-handed environmentalism seems a little surprising and even disturbing by today’s standards. On the other hand, TV shows were more political in the early ’90s than they are today. It was also a time when children’s programs had strong environmental messages, with cartoons like Captain Planet and the less fondly remembered Widget the World Watcher. 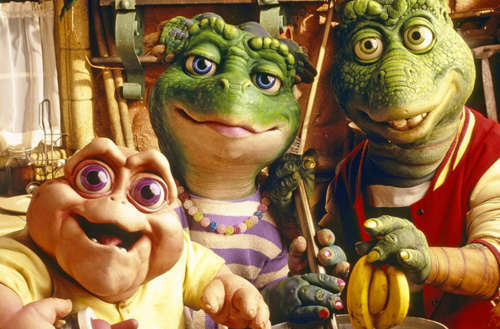 Do you remember the finale of the Dinosaurs TV show being so sad and poignant?